Barack Obama was one of the most popular candidates who bid for the presidency in modern time when he ran in 2008.As president however, Obama popularity plummeted almost immediately; he suffered the fiercest opposition from the Republican Party than any president since the creation of the nation. Amidst a flurry of criticism, it’s easy to miss what Obama has done as president and where he had failed. “The OBAMA Legacy” is an attempt to sketch an accurate picture of Obama presidency. The book dispels all myths about Obama. 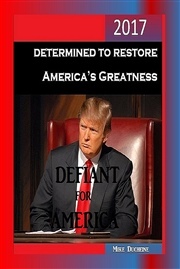 It discusses his presidency in a very unorthodox fashion, by relying exclusively on "verifiable facts" The book completely ignores gossips, political arguments and partisanship in order to sketch a true picture of the 44th president. The OBAMA Legacy is not however a tabulation of praises for the Obama administration; it is a hard look at how he has led the country during his presidency. Mike is an MBA graduate of the University of Californiawhose love for reading and writing led him to put a successful business career on hold to go back to school, again, to study journalism and communication. 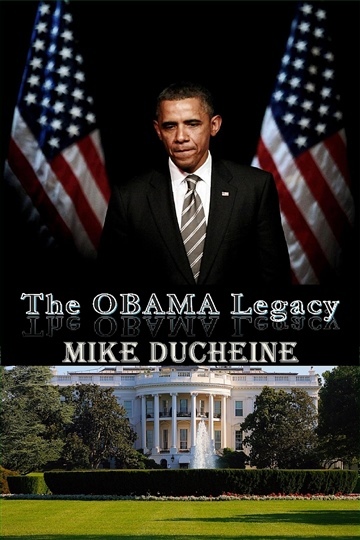 His first book “The OBAMA Legacy” discusses in great details the difficulty of Obama's presidency and his approach to outwit his opponents in most everything he did. His second book “Defiant for America” released shortly after takes the reader through the journey which led to Trump’s presidency. his insatiable thirst for knowledge and his passion for writing which nudged him to pursue a degree in journalism. Mike spends his spare time publishing opinions on The People Branch blog http://peoplebranch.org, a company he founded. He recently launched “The Writing” (https://writing.peoplebranch.org), a site which promotes writing in the hope of changing the future. Mike writes to address government wrongdoing and society entrenched bias; he is a fierce enemy of social injustice. Mike is a guest writer on the Global News Network; he has no allegiance to any Political Party and stands firmly against social Injustice.